You cannot get more hypoallergenic than pure titanium. 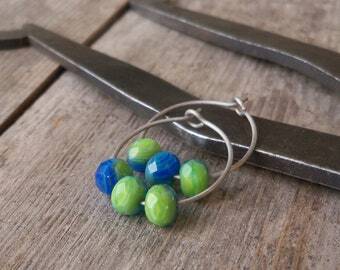 These hoop earrings are made completely with nickel free, pure titanium wire and Czech glass bead. Titanium is a mat gray metal. It is very strong. 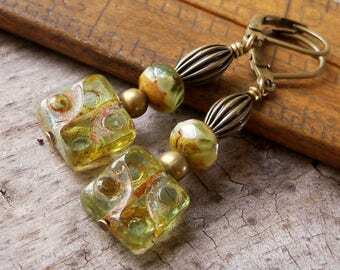 The beads are a tiny Czech glass bead. 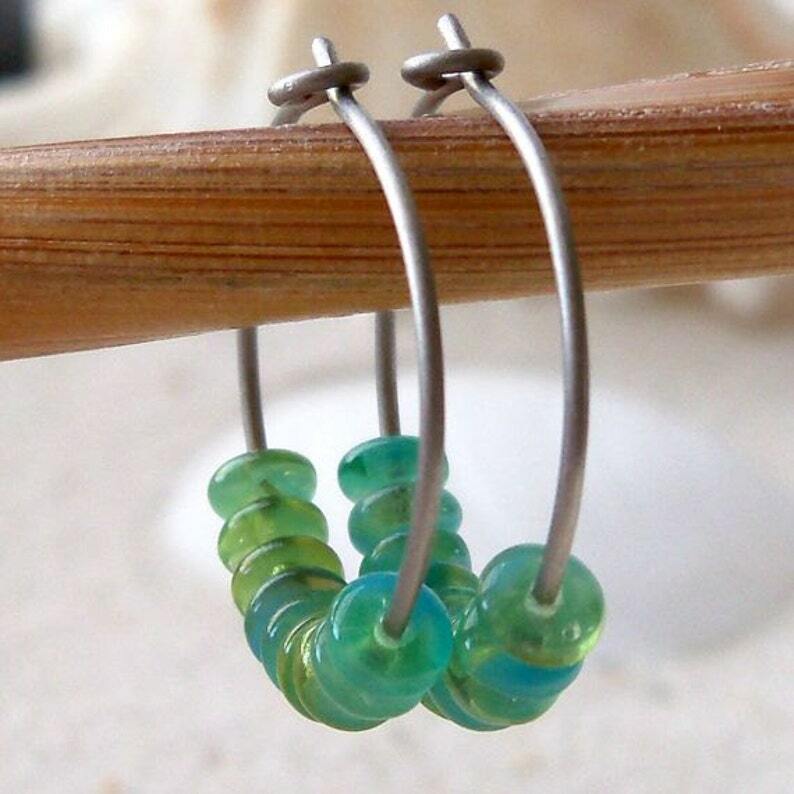 They are a beautiful combination of ocean blue and green. The beads are 6mm x 2mm. Here are two customers reviews of the new titanium wire. "I got the trial titanium earrings. I wore them in one ear for two days and after scrounging up a pair of posts to almost re- pierce the other ear, I wore them for a day in that ear. Happy to report that I have no redness or swelling even in the ear I had to re-open!" The earrings are very pretty. They will go with everything.